Newly Renovated two story/Pre-leasing brand new town homes for rent in Dallas, off of Vernoy Aiken Road. We now have 37 units, adding atleast 30 more (with garages) within the next year. We are now also a gated community and will be adding a pool and children's playground by next summer. Rent starting at $795, water and trash included. All total electric. Please contact me at 678-757-1381 should you need further information; or e-mail me at stacey@saddlebrk.net. Edited by Saddle Brook Cove, 28 August 2007 - 12:20 PM. The garage is also heated and air conditioned. The backyard is fully fenced in. for some reason i cant start a new thread. i am looking to rent or lease purchase a home. i want to pay $900 or less. i prefer to be in new hope, or east paulding area. i also want the home to be newer or newly remodeled. thanks for the space and any replys. for some reason i cant start a new thread.i am looking to rent or lease purchase a home. i want to pay $900 or less. i prefer to be in new hope, or east paulding area. i also want the home to be newer or newly remodeled. thanks for the space and any replys. Edited by ybowers, 13 October 2007 - 07:02 PM. Is this property still available and if it is what is the school district? I have two listings to post but the link to the 30day membership ($10) is not working. I will like to join and place my listings as well. New 3 bdrm two story townhouse, 1296 sq feet! 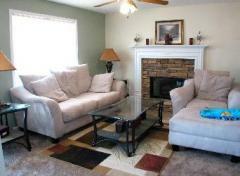 Fresh paint, beautiful new ceramic tile in kitchen and baths, upgraded light fixtures, new carpet, private back porch. Available now. 850 per mo. includes all appliances (except washer and dryer) laundry room with hookups located on 2nd floor. Located off of 92 just across paulding/douglas line. These units were just built in 2001 so they are literally just like brand new. e mail or PM me if you or someone you know might be interested! I have a home that is available for lease (probably around January 1st). It is in the South Paulding High School, Austin, Nebo school district. 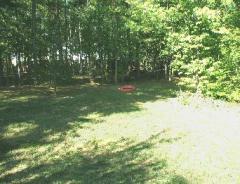 It is a 3 bdrm/2 bth home with a full basement and fenced yard. The home is currently unavailable to show, as I am in the process of evicting the current tenants for non-payment. If you would like to see pictures of the home, there is a thread with pictures of the outside and inside. I am wanting to get the word out that the home will be available soon. I am a single mother. I have a 5 month old son and we are looking for a 2 bedroom place to rent that isnt too expensive. If anyone knows of anywhere please let me know. $750. per month (if paid before the first) includes up to $25. on water, $500 deposit and a $50 application fee. Wow! That sounds like a GREAT deal!!! I'm sure it won't take you long to find the perfect occupant. Yeah you shouldn't have a problem renting that.. I have friends who are looking to move back to Paulding, but are looking to get into Roberts district. Is this in Roberts? If not, what area/subdivision? Either school, Roberts or Russom, is great. Can't go wrong there. Go away imposter. Just go away. Hey that was uncalled for, I make sure the payment is in the mail to them each and every month, so I have every right to claim em as friends! Don't worry, they are just playin'. What area is this located in? I have a friend looking right now. Need to know area and school district. My daughter and her husband would be interested in learning more about the house. Where is it located? Can they make an appointment to see it? Edited by perrygrl5, 18 December 2007 - 01:11 PM. I have a property for rent at 249 Farm Brook Lane, Dallas GA 30157. The house is in amazing condition with brand new carpet and paint throughout the house. It also has amazing landscape. I have recently relocated to the Indianapolis, Indiana area and am looking for a great family to lease this property. It is available immediately. Please contact Kassi Kelley at (317) 664-1566. The monthly price for this house is $850. Don't hesitate to contact with any questions! Thanks! My family (5 of us) is looking to relocate to Paulding and hoping to find a home for rent that has at least 4 bedrooms/2 baths near the Russom/Shelton school districts and that accepts a small dog. If this is a newer home (built in the last 2 years or so), we will also consider lease purchase. In such case, we are looking for a home costing no more than $380,000. We are hoping to move by February 2008. Please email if you have a property we should consider. looking for a room or appartment to rent. i really can not afford to pay more than 500. Edited by Merlin, 14 January 2008 - 08:21 PM. Life is short! Break the rules! Forgive quickly! Kiss slowly! Love truly, Laugh uncontrollably. And never regret anything that made you smile. I am looking for a 3 bd/ 2 bath home to rent. No more than 900 a month. There are 2 adults and 1 child (9). He goes to WC Abney and we would like to keep him there. We also have 2 dogs. An adult Lab and a puppy. We would like to move in the next couple of months. Is this still available. Do you allow pets? 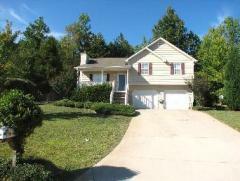 FOR RENT - We have a house for rent in South Paulding, near Ridge Rd. in the Nebo/Austin/S.Paulding school district. The house is a 3 bed/2 bath ranch on a finished basement and two car garage. Has formal dining room and eat in kitchen. Gas logs in Family room. Fenced in backyard. $1,000 per month. PM for more info or pics. Will also consider Lease Purchase. Edited by NoPickles4Me, 25 February 2008 - 04:48 PM. I have a newly painted, carpeted, vinyl and new stove, dishwasher and washing machine (used dryer) ... 3BR 2 Bath house in the Burnt Hickory area for lease at the beginning of May. $950/mo. Security dep. of $500. No smokers, no pets. Kids are welcome as there are quite a few around to play with. With the building of the new schools- I am not sure of the school districts. PM me for more info. P.S. I am a pet lover and am not set on no pets. We can discuss them. We are a very clean family looking to rent, lease, and or lease purchase).We have tried to purchase however our credit score is not up to par however our income is. We cannot make a huge down deposit possibly 500.00 to 800.00 dollars because of all the fees required to move. The remaining deposit could be worked out. We are in need of a 3 or 5 bedrooms home. We are willing to sign a 12-24 month lease for the right home. We are seeking a home in Paulding county- Hiram School District. We will be ready to move within the next couple of weeks but can give the deposit right way to hold the home. If you have a property available that may work for us please contact us as soon as possible with an offer and photos and an address for the property. I am a 26 year old single male looking to rent or lease a house in Paulding County, specifically Dallas or maybe Hiram. Nothing too big but something fairly nice. I am looking at moving at the end of may. Please email me at doppleraea@yahoo.com if you have anything available. Have a Two bed, one bath house with basement, Large living room and a formal Dining area. House sits on acreage that can be hunted. $825 month. Dallas on Goldmine Rd. near 278 close to Airport. I am looking for a room to rent from monday-thursday every week starting in August. I am graduating law school, and am going to be working as a law clerk in the Paulding Superior court, and wish to have a place to stay nearby so I don't have to move out completely from my Atlanta condo. Email Roy at ryunker@mindspring.com if you have a place, and want to work out a deal.